Screening tests can help to find cancer at an early stage, before recognizing the symptoms. Diagnostic testing of cancer includes the tests done by a pathologist to confirm the stage of cancer, size of the tumor, area infected by the tumor, etc. Various pathological and histopathological techniques are used in cancer diagnosis. Some of the common procedures for Cancer diagnosis are biopsy, MRI, X-Ray etc. Some of the other techniques which are commonly used nowadays to detect or identify the cancers originating from an organ are endoscopy for gastrointestinal cancers, mammography for breast cancers etc. One of the newly invented techniques for detection of organ defined cancers is nuclear medicine imaging which utilizes radiopharmaceuticals to identify the structure of the tumor present in that specified organ or tissue. 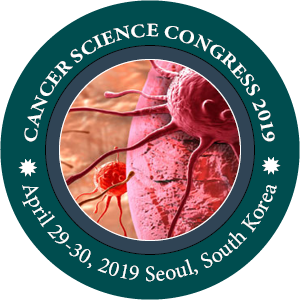 Cancer Conferences provides a podium to bring forward the novel therapies for cancer.